Greetings everyone! I am full of nervousness, excitement & Joy as my novel LAMP OF LIGHT will be included in MAGIC & SHADOWS Boxset which contains 11 AMAZING AUTHORS! This talented group of amazing writers has been lead by Lia Davis who is an active leader, trying her hardest to make sure we AUTHORS have everything ready for this magical release! My novel LAMP OF LIGHT is my dark retelling of the classic tale of “SNOW WHITE” but with a twist! Other fairy tale characters will be featured in my trilogy which I am sure everyone will LOVE as I have gotten amazing feedback from those who have already got a chance to read the first book! The best part is for $0.99 Cents you get to own 11 YA NOVELS! Now that is a deal you cannot ignore! Later next week I will be posting Character Images from LAMP OF LIGHT! So stay tuned! 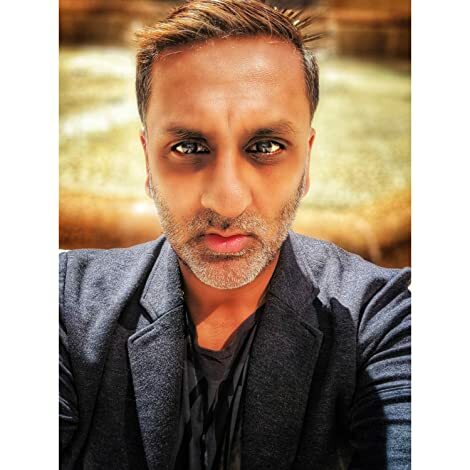 Alex H. Singh is an easy-going & youthful writer devoted to creating the best experiences for his readers by letting his imagination paint a picture step by step which then gets translated into words, worlds & wonder. 2017 brings a plethora of novels releasing within the year on a variety of platforms & Print.